By now, most people have gotten over post-holiday guilt about eating and drinking too much and left “dry January” comfortably in their rearview mirrors. Thankfully, many of Houston’s most exciting new restaurants have tempting happy hour menus that are perfect for a little indulging. This list also includes a couple of old favorites that have recently upgraded their offerings. Go out and enjoy. It’s certainly better to have a responsible drink and a snack than to sit in traffic — unless you’re listening to our Gow Media colleagues Fred Faour and A.J. Hoffman on The Blitz on ESPN 97.5. That’s ok, too. Berg Hospitality’s popular new restaurant serves happy hour Monday through Friday from 3 pm to 6 pm. “Lemon Hour” features half-price oysters as well as eight dishes priced between $5 and $8. 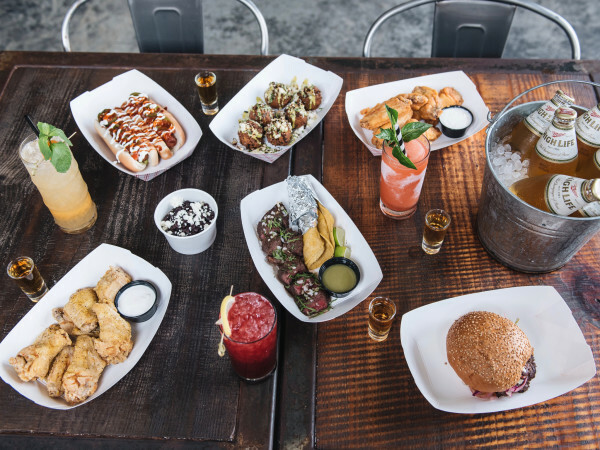 Options include pistachio-crusted fried shrimp, Frito pie, wagyu hot dogs, and chicken-fried pickle spears. To drink, choose from $8 cocktails, $4 beers, or take $2 off wines by-the-glass. 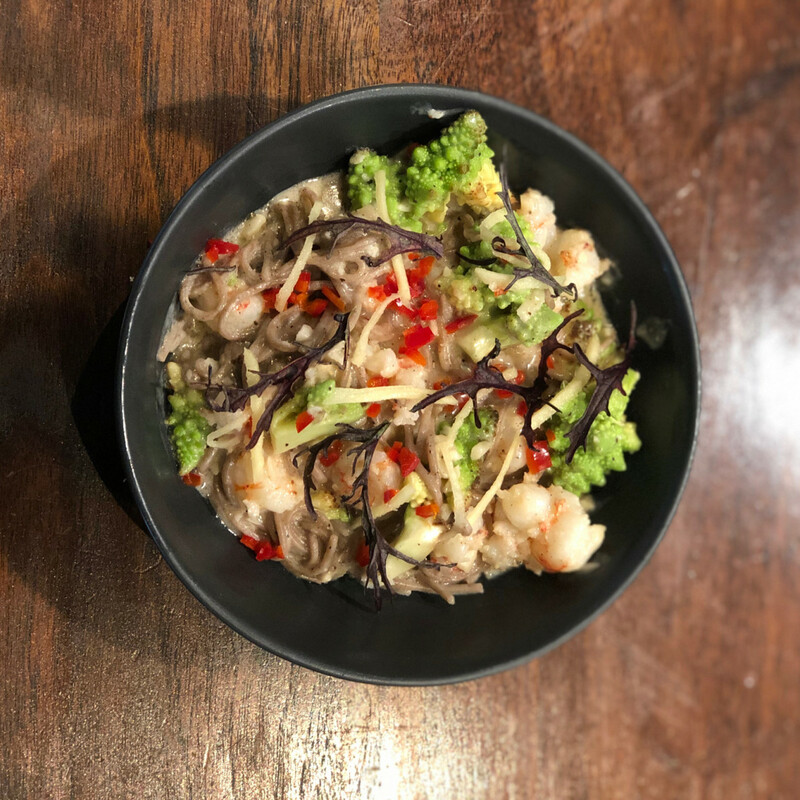 Get a taste of chef Evelyn Garcia’s innovative Thai-inspired fare at this recently-opened restaurant off Washington Ave. Sip any of three $6 speciality cocktails, take $2 off draft beer, or get half-off wines by-the-glass Tuesday through Sunday from 4 pm to 6 pm. Match them with bar bites like roasted beet hummus, 5-spice pork rillettes, and a chicken sandwich that’s topped with herbed slaw and tomato chutney. Who says dining at Tony’s has to be expensive? 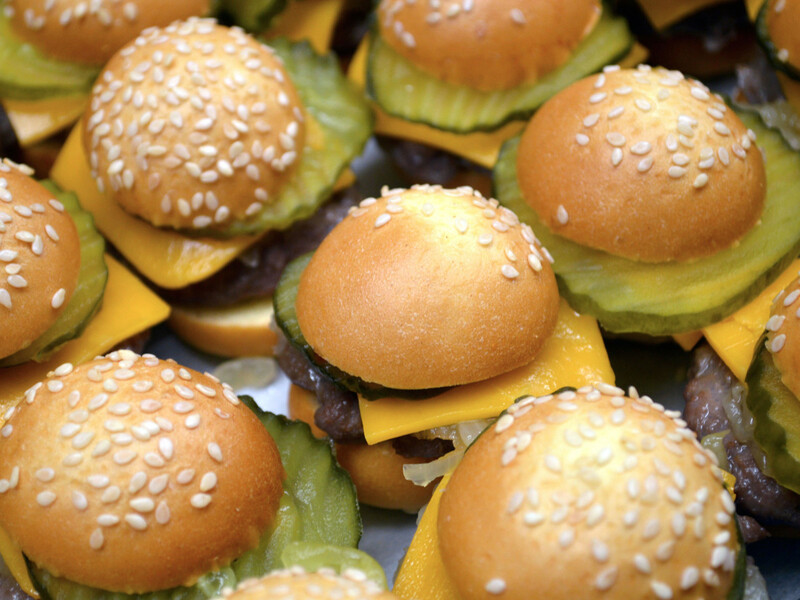 The restaurant’s happy hour features $5 bar bites that include wagyu cheeseburger sliders, corn raviolini, and Italian-style fried zuchini. For a few dollars more, opt for a selection of anitpasti or beef tenderloin tartare crostini. 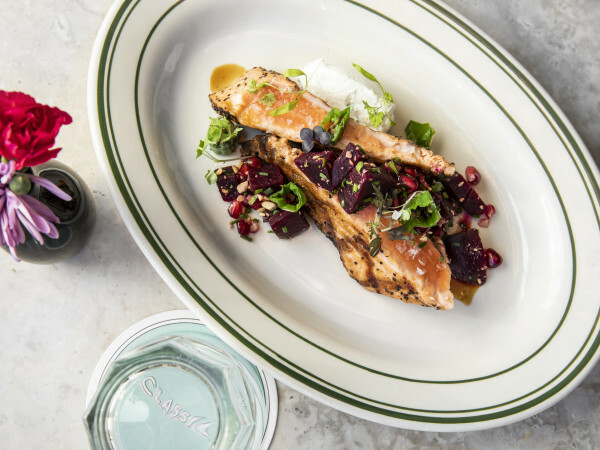 Indulge with one of the restaurant’s 75 bottles of wine for under $75. 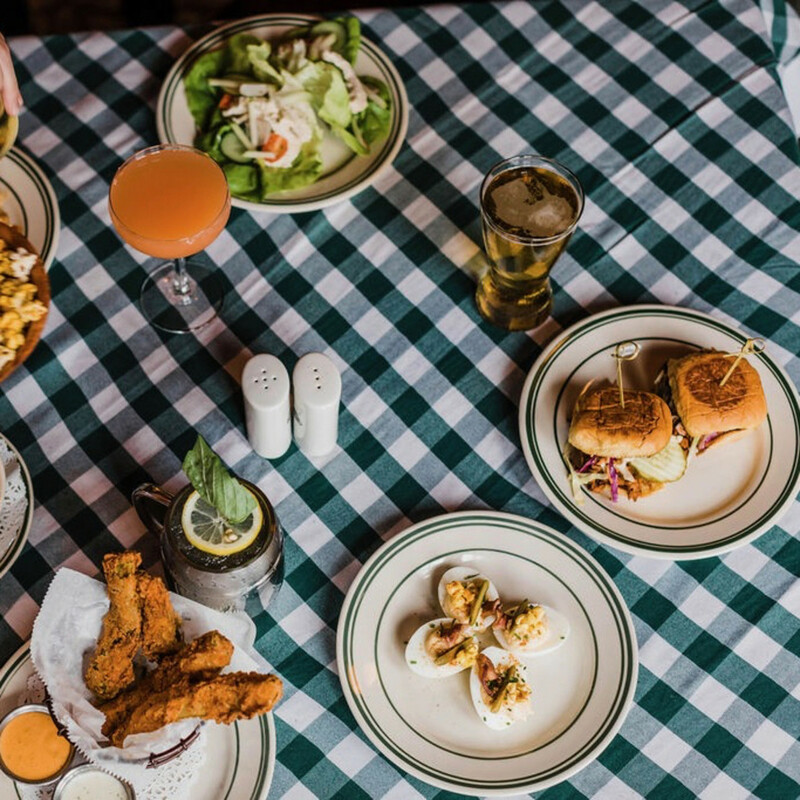 The stylish Greenway Plaza restaurant has a generous happy hour that starts with 75-cent oysters and half-off snacks like Cajun duck poppers and fried oysters. 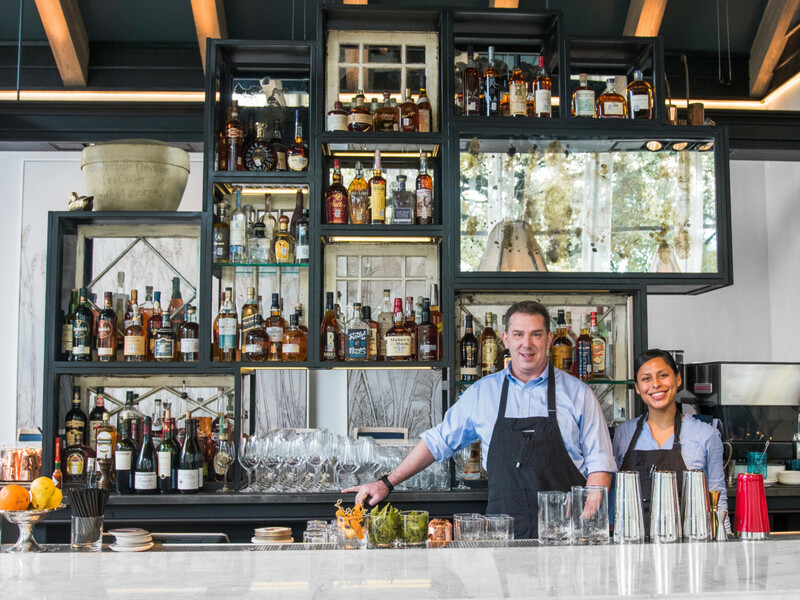 To drink, select half-off draft beers, wines by-the-glass, and house cocktails like the Teal Season, the restaurant’s take on a classic Old Fashioned. Served daily from 3 pm to 6 pm. Ryan Lachaine’s acclaimed Montrose restaurant recently rolled out an updated menu of bar bites for its happy hour. New options include mini hot dogs, chicken skin yakitori, shrimp with soba noodles, and a “baby” portion of the restaurant’s popular borscht. 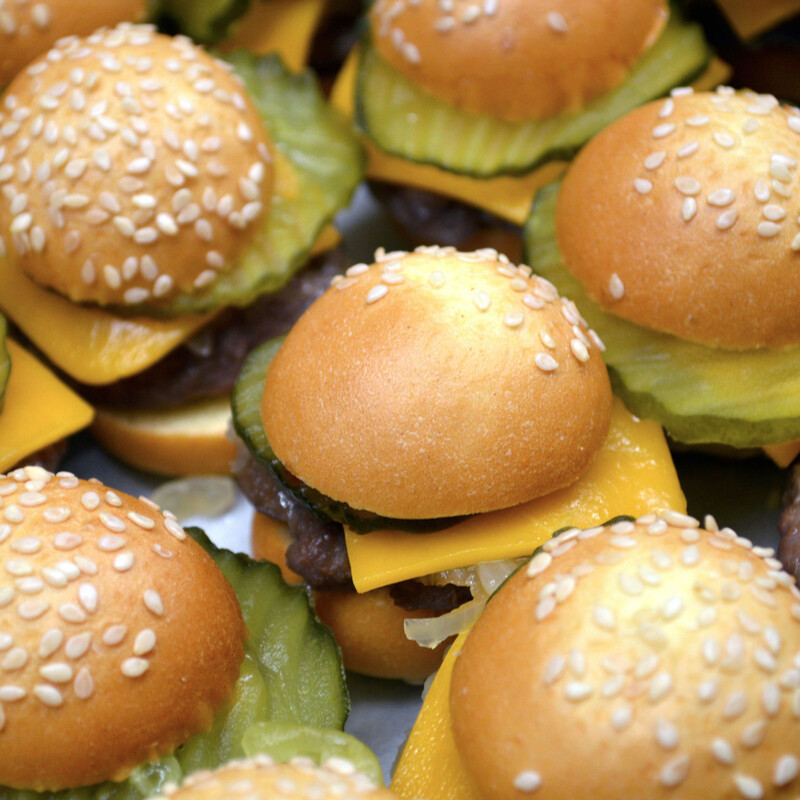 Pair them with $4 beers, $7 wines by-the-glass, $8 classic cocktails, or $10 house cocktails. 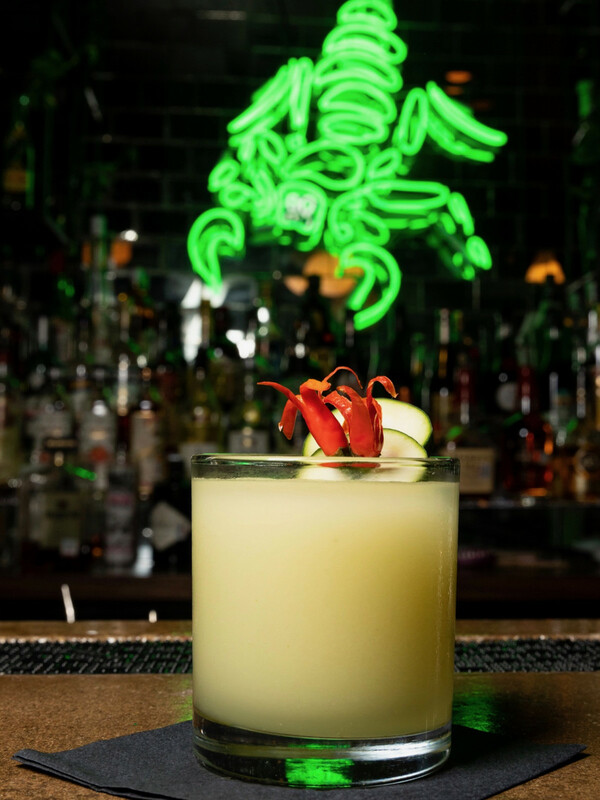 Don't miss the "My Mind's Playing Tricks on Me" (tequila, Grand Marnier, yellow Chartreuse), named after the famous Ghetto Boys song, because Wille D helped Lachaine create it. Available Monday through Friday from 5 pm to 6:30 pm. 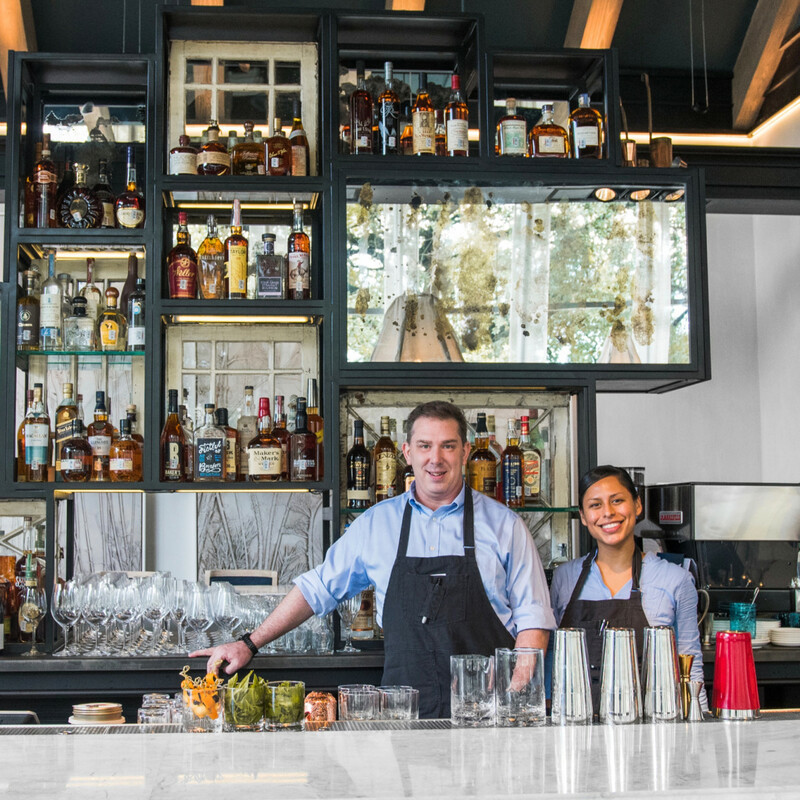 Each Perry’s, including the restaurant’s newly opened flagship location in River Oaks, serves happy hour in the bar Monday through Friday from 4 pm to 7 pm. The offering features seven bar bites and seven cocktails for $9 each. 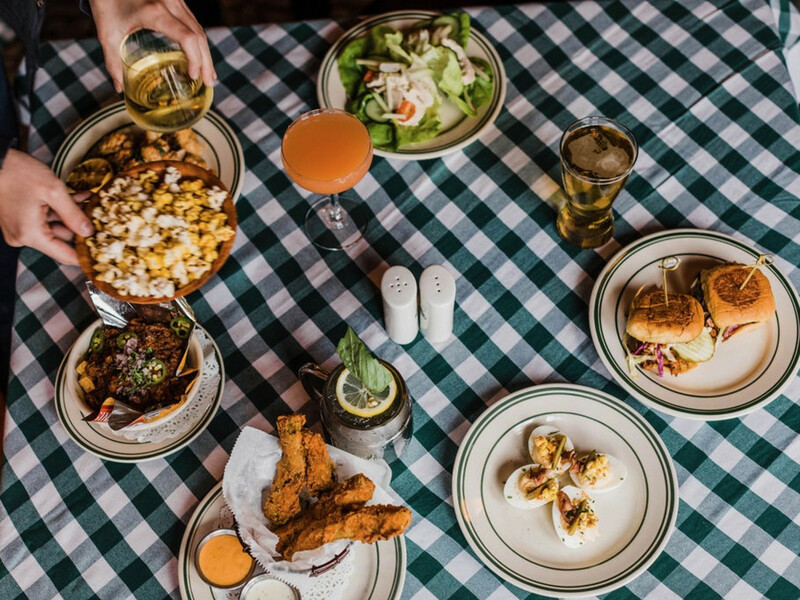 Options include steak tartare, stuffed mushrooms, and pork chop bites that are paired with a Bulleit Manhattan, the smoky ‘rita, and a classic Mai Tai. Beer and wine specials are also available. The glass partition has come down at Agricole Hospitality’s cocktail bar in EaDo, which means single patrons can now sit at the bar; don’t worry, full service is still available at the comfy chairs and couches throughout the room. Regardless of where patrons choose to sit, they should visit during happy hour, which takes place daily from 4 to 6 pm and all day on Wednesday. Choose $6 cocktails (margarita, Old Fashioned, or Moscow Mule), $7 wines by-the-glass, or the four different $3 beers. Saving money on drinks means more money for bar bites like chicken and shrimp meatballs, shrimp and crab cocktail, and crispy duck wings. The Memorial-area favorite has always been about abundance, which it demonstrates with a generous happy hour at its recently-opened second location. 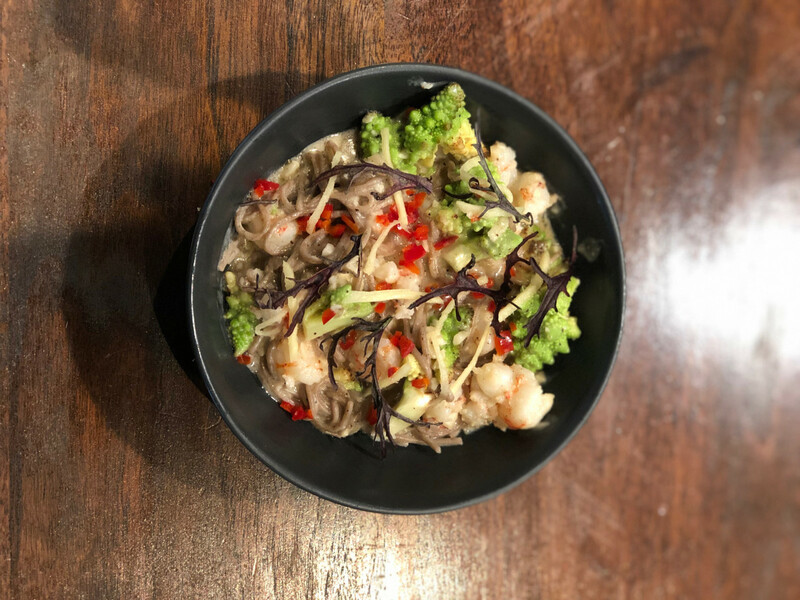 Available Monday through Friday from 2 pm to 6 pm, happy hour starts with $7 bar bites that include ceviche toastadas, pork and vegetable dumplings (steamed or fried), and the the restaurant’s signature mac and cheese with bacon. 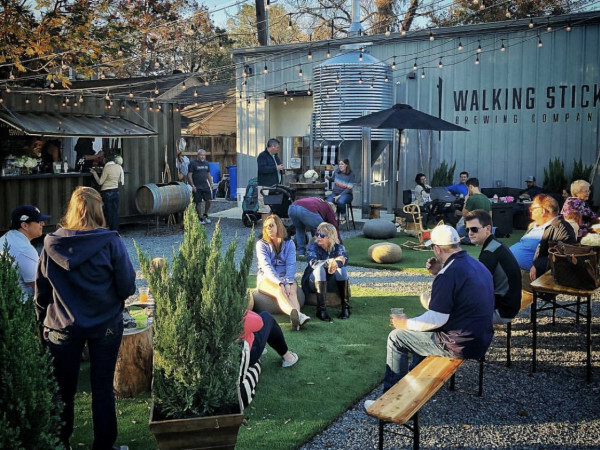 Sip on $7 cocktails, $7 glasses of wine, or $4 beers that include craft favorites like Saint Arnold Art Car IPA, Brooklyn Lager, and Live Oak Hefeweizen. Let the traffic die down at this stylish downtown cafe. Drink half-off glasses from open bottles of wine, $7 house cocktails, or $5 beers (draft or canned). Snack on $10 pizza specials or bar bites. Available Monday through Friday from 3 pm to 6 pm. Available Tuesday through Saturday from 5 pm to 6:30 pm and all day Sunday, happy hour at this ambitious Japanese restaurant offers lots of tempting choices. Feast on small plates like the slammin’ salmon roll (salmon, fresno pepper, cucumber, scallion, and shiso pesto, $9), yuzu ceviche ($10), chicken karaage ($8), and black edamame ($5). To drink, choose from selection Japanese beers ($3 or $4), house cocktails ($7 to $9), sake ($5 to $9), or get a heft discount on wine — 40-percent off glasses and 30-percent off bottles. Finish up with housemade ice cream for $5. 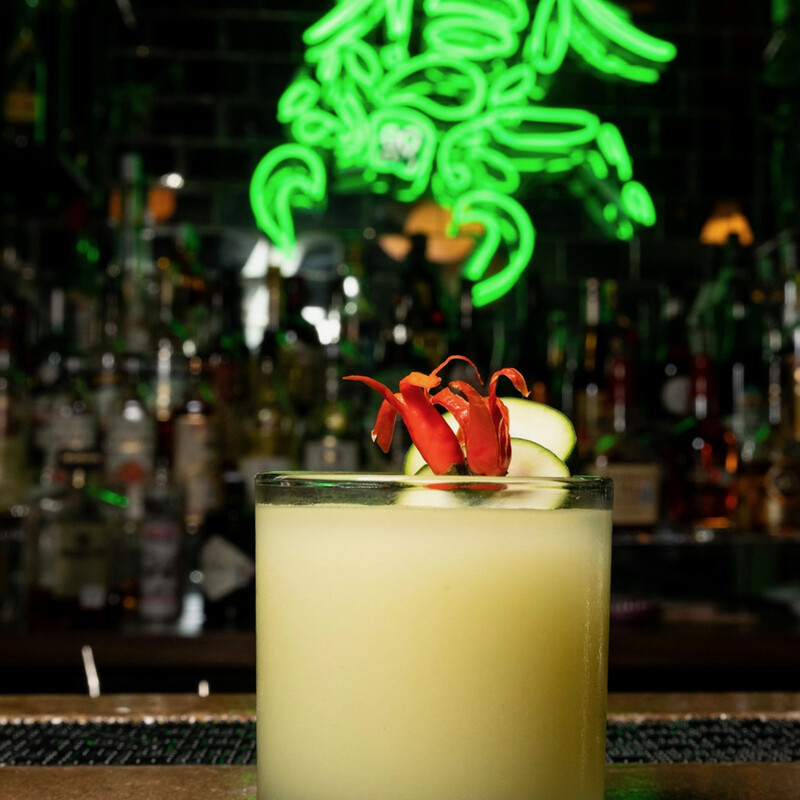 Houston’s newest see-and-be-seen spot keeps things simple at happy hour. Available Monday through Friday from 3 pm to 7 pm, pair $10 cocktails with half price select menu items.